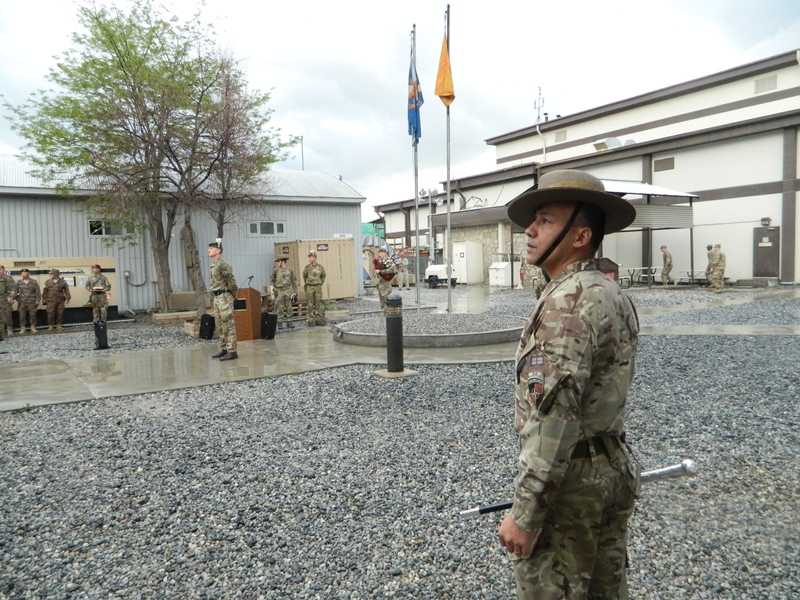 This week, Gurkha soldiers from Kent raised their Battalion’s flag in Kabul to mark the start of an eight month operational deployment to Afghanistan. 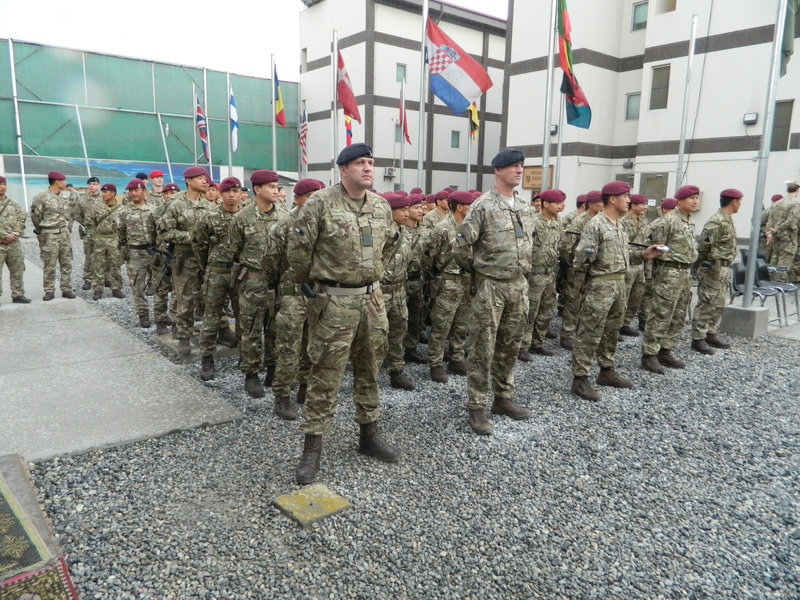 Troops from Second Battalion, The Royal Gurkha Rifles, usually based in Folkestone under the command of 16 Air Assault Brigade, took over the role of Kabul Protection Unit on 16 April. Their job will see them providing protection for NATO advisors to the Afghan government. Pipers played under overcast skies as the outgoing unit from The Royal Regiment of Scotland handed over. 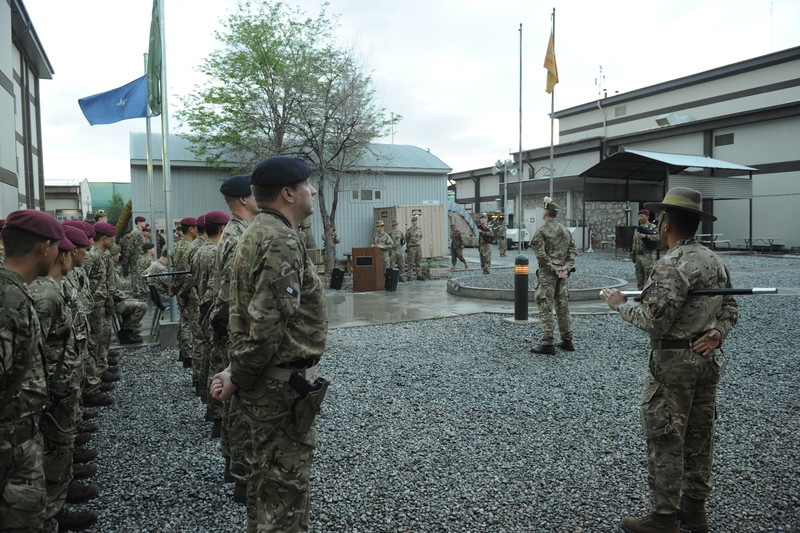 Lt. Gen. Sandy Storrie, the UK Deputy Commander of the NATO Resolute Support Mission in Afghanistan, was in attendance to welcome the Gurkhas to the city at a formal ceremony attended by representatives from across the NATO force in Kabul. 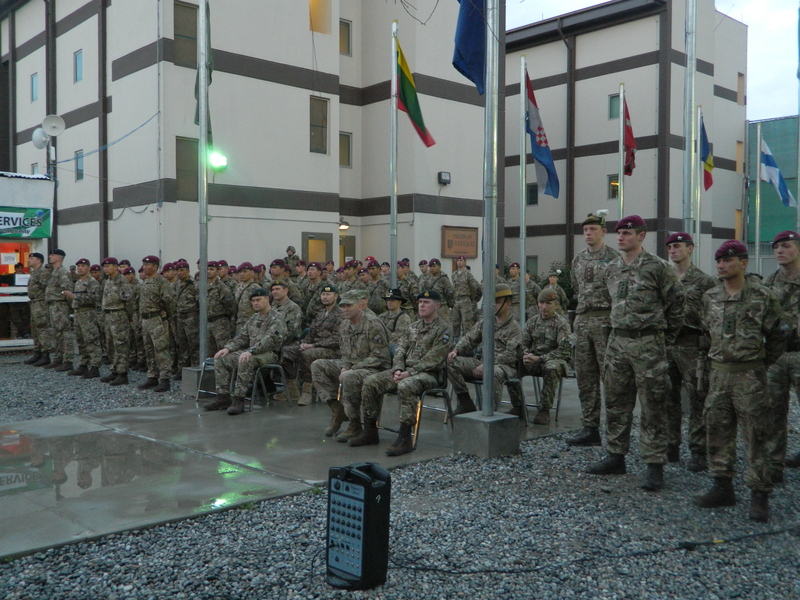 The Gurkhas will work side-by-side with American troops from 3-61 Cavalry Regiment, as well as Australian, Danish and Mongolian contingents. 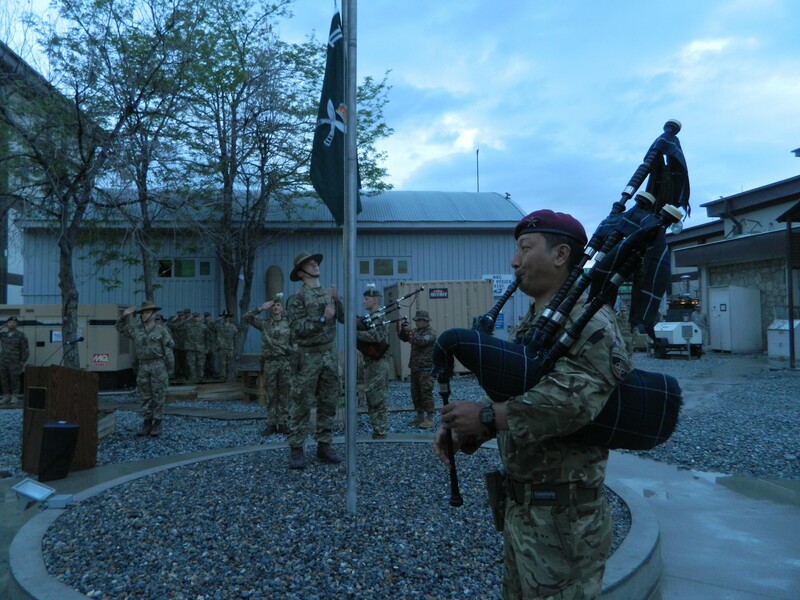 Following on from months of focused pre-deployment training in the UK, the Gurkhas are settling into their new surroundings. Rifleman Prajwal Rai, 24, driving a Foxhound armoured vehicle, described the traffic conditions in Kabul: “Throughout our training we’ve been learning to drive on British roads – here we have to be much more careful as the usual rules go out the window! It’s like driving in Kathmandu”.